Would you like your wedding to be different? A wedding remembered by every guest for years to come? You can have a remarkable Florida Keys wedding in privacy. Host an unforgettable family event for just you, your family, and friends for 4-days and 3-nights including a rehearsal/welcome dinner the first night, your wedding ceremony and reception, and a “morning after the wedding” goodbye brunch all for less than the cost of a 5 hour wedding at a fine hotel or resort. 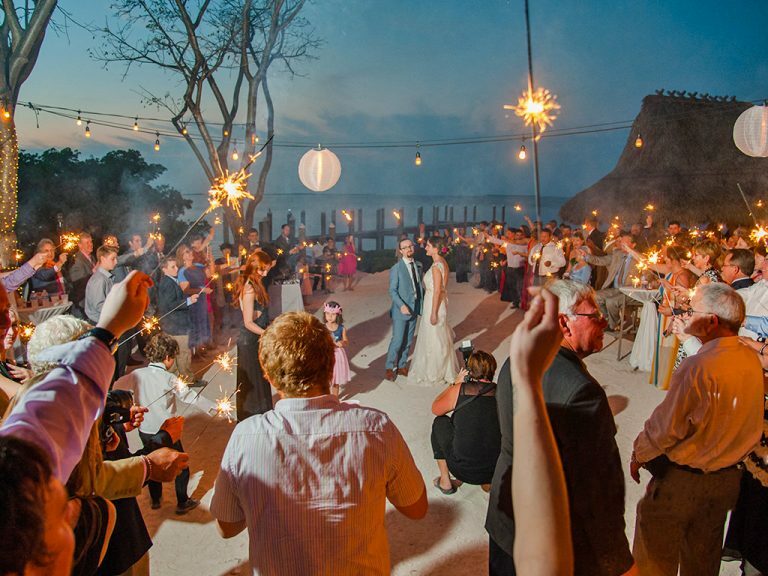 Imagine a private wedding in the Florida Keys with just your family and friends. It all happens at Key Largo Lighthouse Beach. 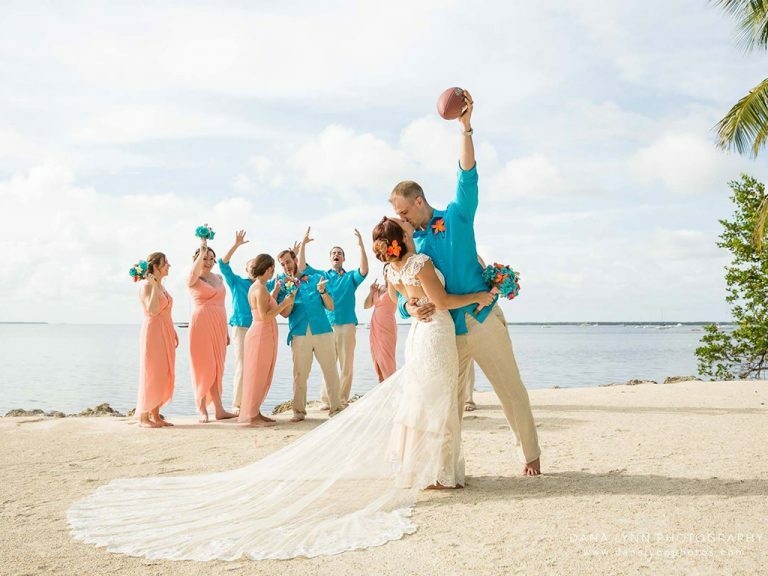 Let’s create a simple, stress-free, yet spectacular Florida Keys wedding. 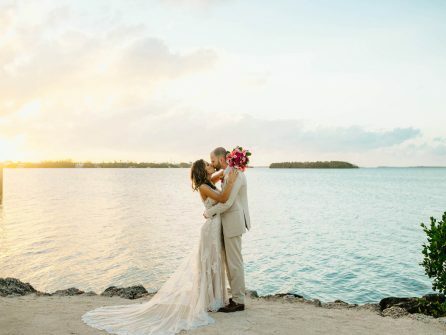 Our Florida Keys wedding venues feel more like the Bahamas or the Caribbean, with year-round tropical temperatures and crystal clear blue water. Forget about passports and big travel bills. Check the venue pages for pricing. Say goodbye to ‘Cookie Cutter’ weddings. 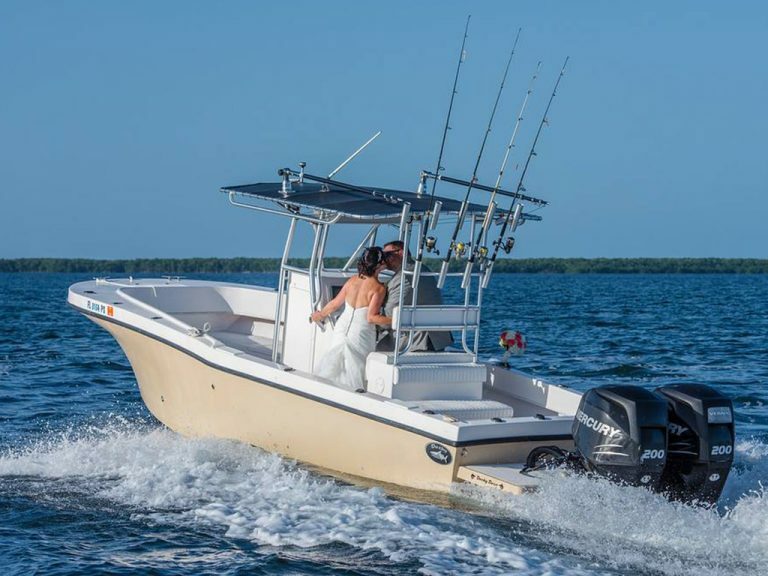 You can create a Florida Keys wedding that matches your dream within your budget. With experts at your side to help as little or as much as you wish. Key Largo Lighthouse Beach is the place! the most spectacular of any in the US? 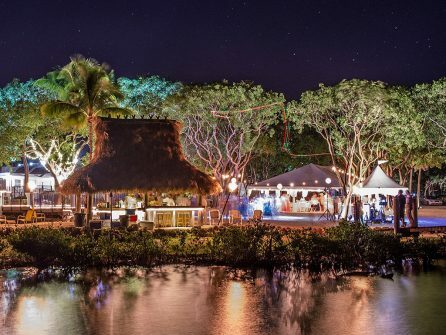 Does a private tropical beach studded with palm trees, fanned by a constant trade wind, surrounded by crystal clear warm ocean water, a private pool and tiki bar excite you? Learn why our location is not like the rest of Florida. It is much more like the Bahamas. Are you new to the Florida Keys? What is it like? tropical islands just one hour from Miami International airport. The lifestyle, the weather, and the water are not like any picture you have of Florida, it is more like the Bahamas. Imagine the best climate and the most beautiful waters in the United States. The Florida Keys are the warmest place in the US in winter and cool in summer because of the trade winds. Not a single 100-degree day in history. And dry. Unlike the Florida mainland that sees regular afternoon showers, the Florida Keys are arid. Our desertlike climate requires constant irrigation. Every water sport imaginable. In abundance. If you feel bored here, you need to check your pulse. 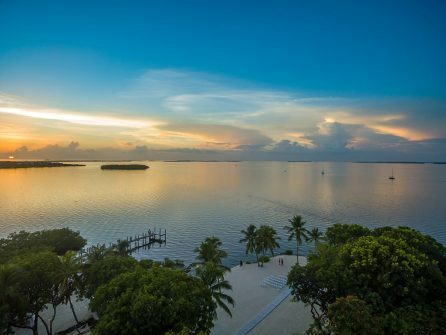 Key Largo is home to two state parks, a national park, a national marine sanctuary. If that isn’t enough, the Florida Keys are known as the fishing and diving capital of the world. It’s not spread over a couple states or thousands of square miles, its right here on our little island. It seems hard to believe, doesn’t it? The wedding of your dreams…in privacy! Looking for something spectacular but affordable? 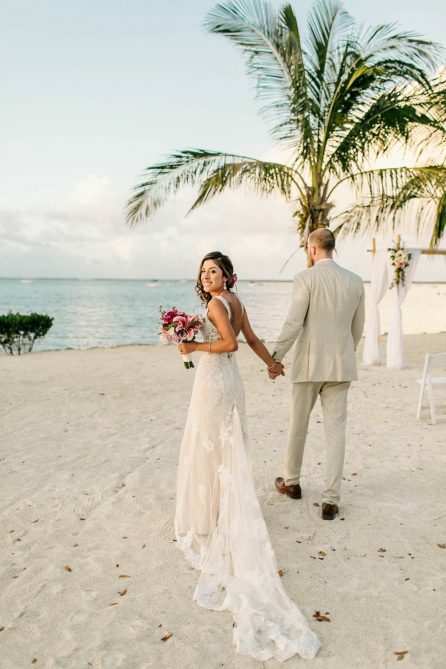 You can host a romantic Florida Keys wedding celebration that everyone will remember for years to come because every wedding is personalized. 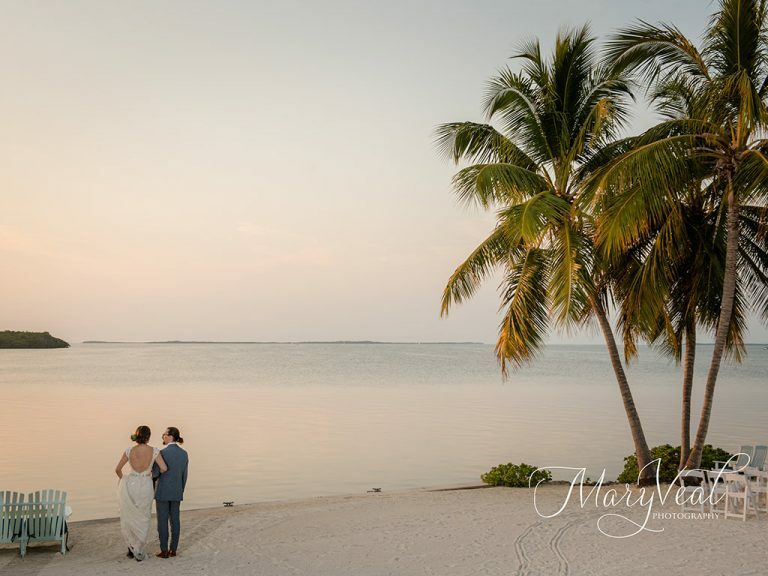 Simplify with a Florida Keys destination wedding. Your guests will love you for making their travel easy. 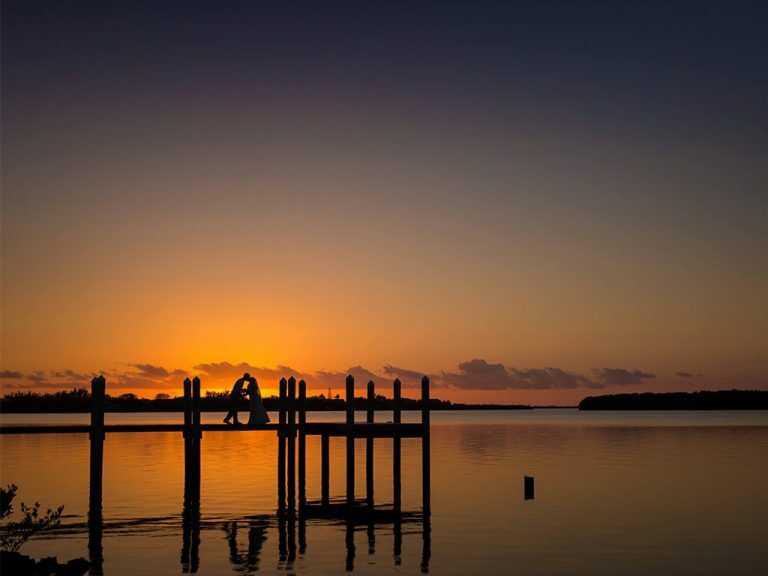 Our Florida Keys Wedding location is just 60 minutes from Miami International Airport. Key Largo Lighthouse Weddings will assist your guests in exploring this mostly undiscovered vacation wonderland.